I have a real soft spot for Twitter. It’s not just that you can launch any random thought that races through your brain into Twitter’s atmosphere. It’s that your Tweets will start conversations. In my experience, conversations lead to sarcastic comments, dark humor, and some “shots fired” situations. 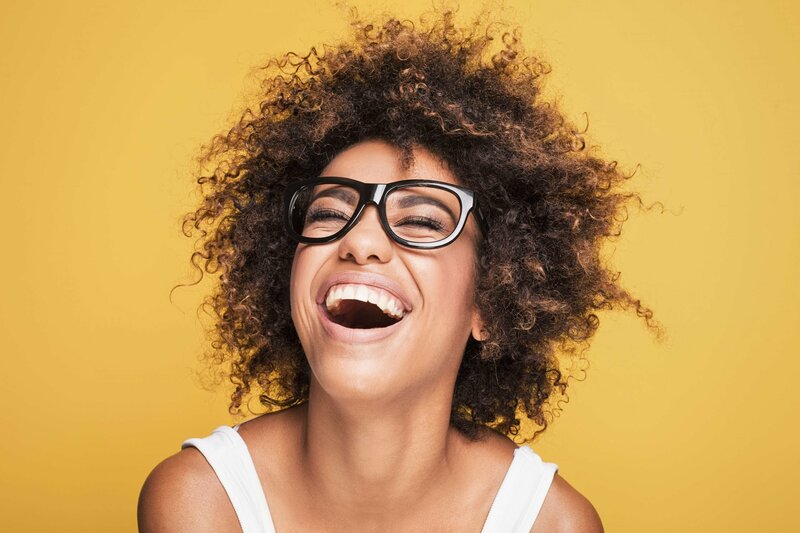 To become more relevant on social media, companies have started humanizing themselves and solidifying their brands by sinking to our level in the Twitterverse, and it’s been beautiful. This trend led to some tragic posts, hilarious clap-backs between competing brands and some truly inspiring goofballery. For some companies, it’s been a positive ride to the top with constant engagement coming from their Twitter antics. For others, it’s been a giant trash fire and we all can’t help watching it burn. The world’s third largest fast-food chain has recently stepped away from their wholesome mom-and-pop (or daughter-and-pop in this case) persona in the past few years. To everyone’s surprise, they have become the unofficial insult comic for Twitter’s burger and fries crowd. When other brands tried to take a few shots at them, Wendy’s showed them why you don’t heckle a comedian with some brutally funny comebacks. Powerful, entertaining and sometimes just plain weird. Old Spice has spent the past few years building their brand around being the loudest, most dominant voice in male stink prevention, and hey, it worked! Their TV ads alone are up there with Geiko in terms of being creative and memorable. Their Twitter game proves that even their fans aren’t safe from a bit of playful abuse. I’ll make a similar point as I did for Wendy’s. Don’t heckle a stand-up comedian and definitely don’t get into a Twitter fight with a talented writer. The Harry Potter creator’s ice-cold comebacks are sharp enough to break the skin of even the most weathered Internet troll. Impressively, she’ll tangle with pretty much anyone from world leaders to this poor fella trying to put her in her place. Along with Wendy’s, Taco Bell has shown some tremendous game with their Twitter account. They’re definitely less aggressive than their burger-slinging, ginger-haired competitor, but they’ve positioned themselves as an entertaining brand capable of holding their own in the unforgiving wasteland that is Twitter. Their dig on White Castle was near effortless and it earned a huge response from users. All by using 6 out of a possible 140 characters. This must be the most random and off-brand tweets I’ve seen, and I’m into it. Royal Mail, yes, that’s the postal service in the United Kingdom, should be as milquetoast as they sound. Which is what makes what happened even funnier. 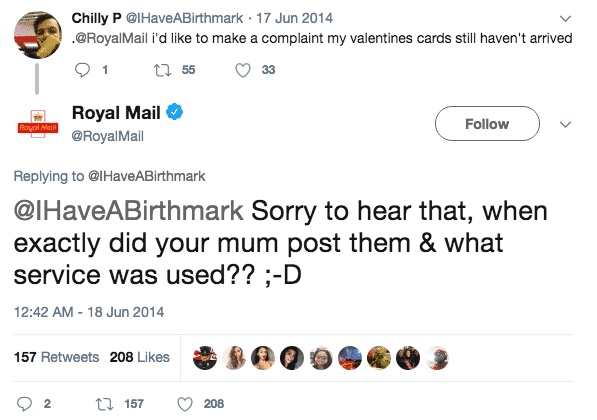 When a customer Tweeted a complaint because they failed to receive their Valentine’s Day card in the mail, Royal Mail dog-piled on his pain with a savage reply. That was a right proper burn there, mate. Leave it to a purveyor of cheap, frozen pizza-like food to do something completely tasteless. The now infamous Tweet using a trending hashtag about domestic abuse is one of the top examples why most companies shouldn’t chime in on trending topics. Their quirky brand had a good following and they had a lot of appeal to fans, but this miscalculation cost them big. Their cringeworthy Tweet had all the class of a keg party in a trailer park. Needless to say, the Twittersphere came down on them with red-hot fury. Although United’s meteoric rise to infamy didn’t come from a Tweet that backfired, Twitter users were the reason they came off so badly. They unleashed hell on the airline all the while sharing incredibly funny memes, literally turning the company and its market value into a laughing stock. United recently and, I have to say, seamlessly transitioned from common airline thugs to cartoonish super villains in their latest PR home run. As if they had a bet against themselves to see just how despicable they can come off as, they went full-on Elmer Fudd and offed a prized giant rabbit traveling internationally. Of course, Twitter users everywhere were ready for them and brought their A-game. In this dizzyingly stupid attempt to garner public favor, we have the NYPD green-lighting a campaign that any New Yorker could see backfiring in a colossal way. But it happened anyway. Yep, the boys in blue decided to boost their image by asking the citizens of New York City to Tweet pictures with local cops using the hashtag #myNYPD, and boy did the response not disappoint. The Big Apple’s natives posted pictures and videos of police brutality and the whole thing went viral in the worst possible way. Even the dogs got in on it! Trust that in the long run, being consistent and on-brand has more value than swinging for the fences with something big and potentially controversial. Don’t be like DiGiorno, and keep it classy.